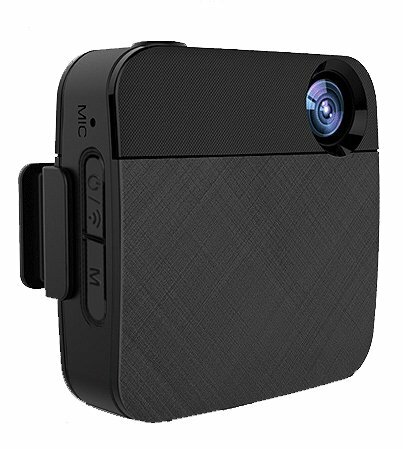 The Capture camera is not only small and lightweight but comes with everything you need for remote viewing, live streaming or sharing with family and friends. Simple to use with portable mounting options. Take your Capture everywhere you go, whether at home with family, socializing with friends, at work or vacation, to capture that important moment. Record or stream live to Facebook and YouTube. Take photos for your social media accounts or edit your files using the WOLFCOM® App. Built-in Wi-Fi connects to your smart device for live streaming, file playback and remote control. Unleash the Capture's full potential with our free app from Google Play or Apple App Store. Capture your special and exciting moments, and live stream to Facebook Live or YouTube Live. The Capture records at high definition with a 120-degree wide angle lens. Instantly share video and photos to your social media accounts, or with family and friends. If you have any questions about this product by WOLFCOM, contact us by completing and submitting the form below. If you are looking for a specif part number, please include it with your message.